What do we mean when we say “better than new”? Consider this: Just like newly-manufactured valves, our new surplus valves have never been used and have a full warranty. Unlike brand new valves, our “better than new” valves have been thoroughly tested and are available at a substantially reduced price. Best of all you can get surplus valves now, instead of days or weeks the shipment of a newly manufactured valve can take. This is assuming the valve needed is still being manufactured. In many cases, it is not. That’s when you’ll really appreciate Industrial Valve’s huge inventory of new surplus and remanufactured valves. 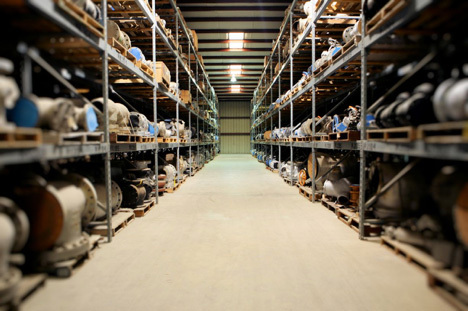 With five acres covered and 78,000 square foot warehouse, we have, or can get, the valve you need: manual valves, safety valves, control valves, or actuators. All catalogued and inventoried electronically for quick verification and pricing. The New Surplus and Remanufactured Valve division of Industrial Valve consists of Safety/Relief Valves, Manual Valves, Control Valves, and Actuators. We have a large inventory of Crosby®, Consolidated®, and Farris®, High Pressure and Low Pressure Safety Valves. 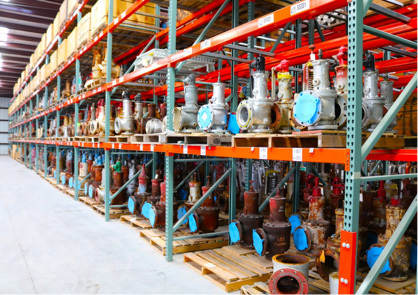 The Industrial Valve Manual Valve and Actuator surplus inventory is second to none. Surplus and New Valve Surplus Manual Valve products include: Allis Chalmers®, Aloyco®, Bonney®, Bray®, Chapman®, Crane®, Dezurik®, Durco®, Edwards®, Fabri®, Hancock®, Jamesbury®, Keystone®, Kitz®, Neles®, Newco®, Pacific®, Powell®, Pratt®, Rockwell®, Smith®, Stockham®, Tufline®, Velan®, Vogt®, Walworth®, and Yarway® among many others. Our warehouse is filled with Gate, Globe, Check, Ball, Plug, and Butterfly Valves, we can alleviate virtually any valve situation a customer may encounter. We at Industrial Valve have the largest selection of new surplus Limitorque® Actuators with over 250 units ranging from the SMB-000 to the SMB-5T in stock and ready for delivery. All Safety/Relief, Manual, Control Valves and Actuators are catalogued and inventoried on computer for quick verification and pricing to our customers. With our large stock of hard to find valves, you can often avoid having to make costly modifications or re-engineer your plant to accommodate a brand new valve. No more short outage headaches while meeting equipment maintenance requirements. The Repair-by-Exchange process supplies a valve for the application needing service at a prorated value of a replacement. Industrial valve will pull the current valve out and install an exchange valve in its place, saving you countless hours of downtime usually associated with required maintenance. Our Repair-by-Exchange program has never failed to meet a time frame set by a customer.